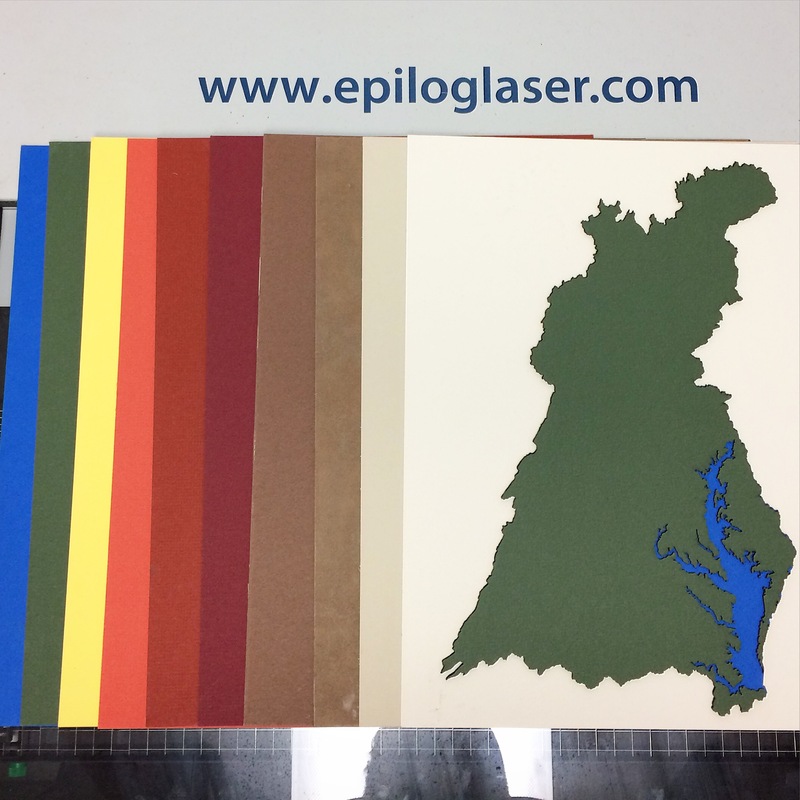 Challenge: Design and fabricate a Chesapeake Bay Watershed terrain model. 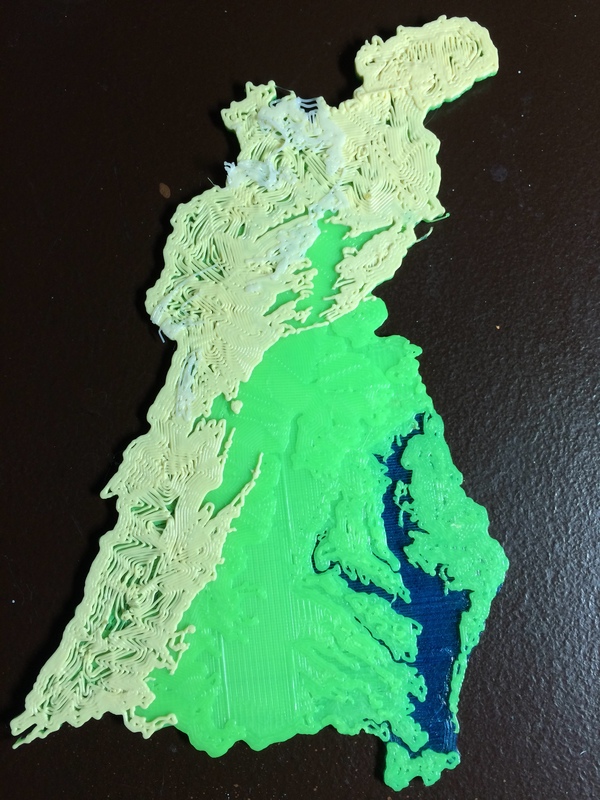 A few months ago, I was asked by a teacher to 3D print a terrain model of the Chesapeake Bay Watershed for a summer STEM camp. 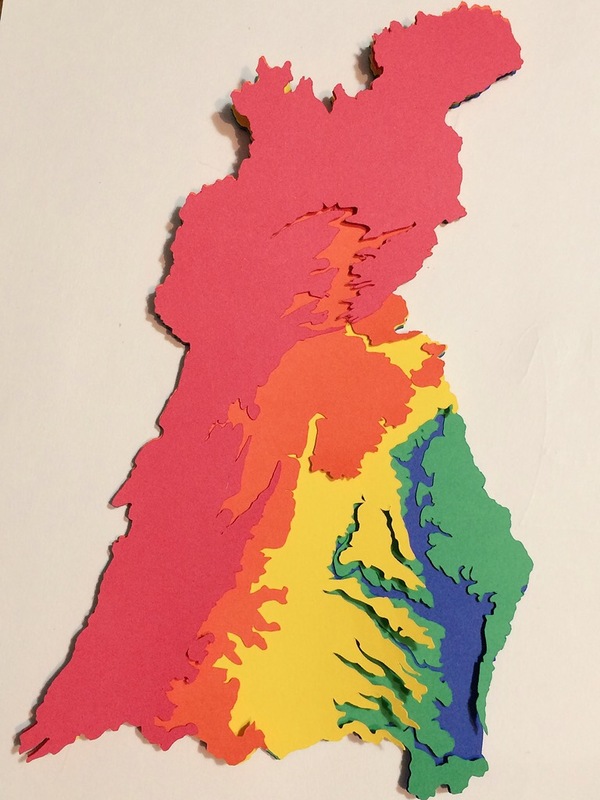 She wanted a 3D model to help students understand how water flows into the Chesapeake Bay from a large geographic region. 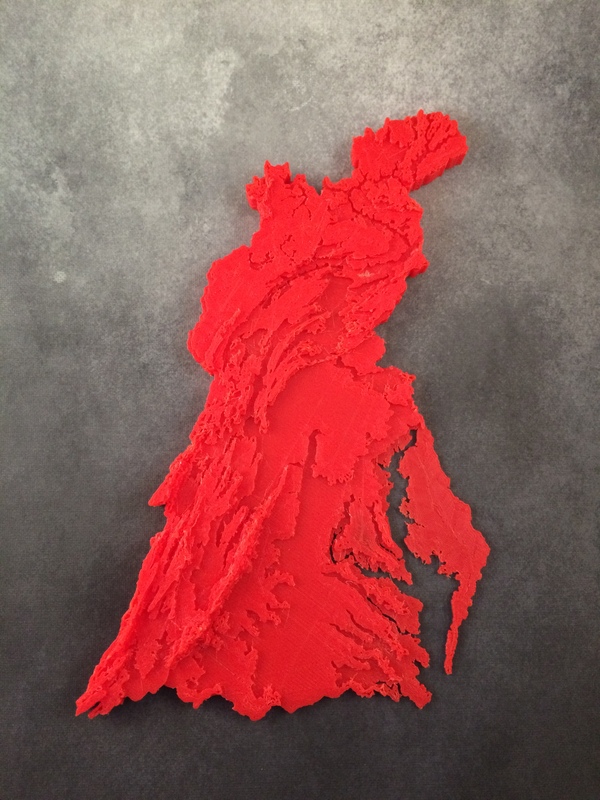 Her students have difficulty making sense of a paper topographic map and she thought a 3D printed model could help. Ideally she wanted the map to be very large, up to 4′ x 4′. 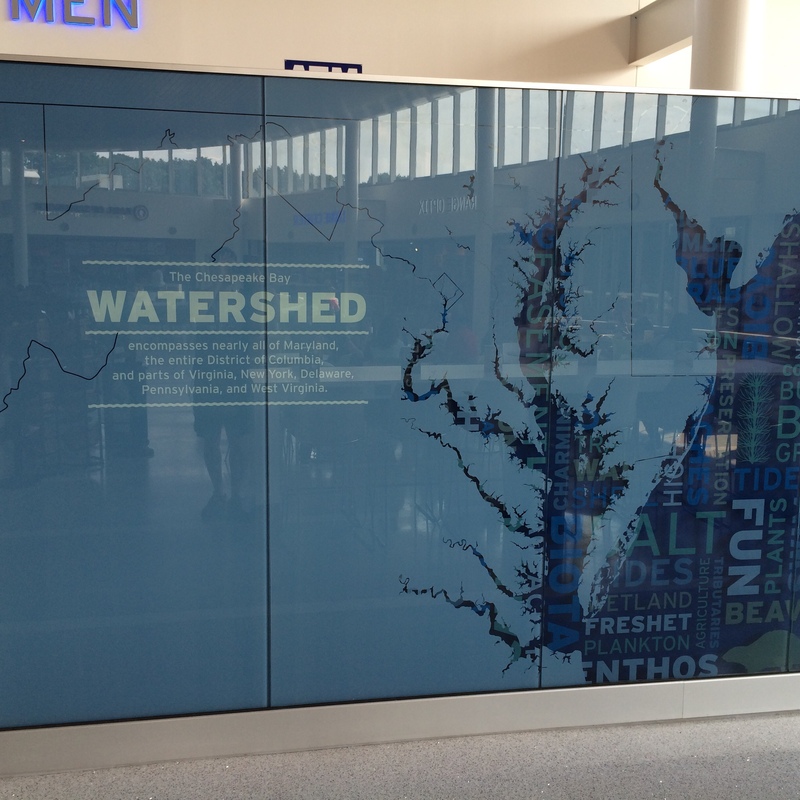 Display at Maryland rest stop on 95. 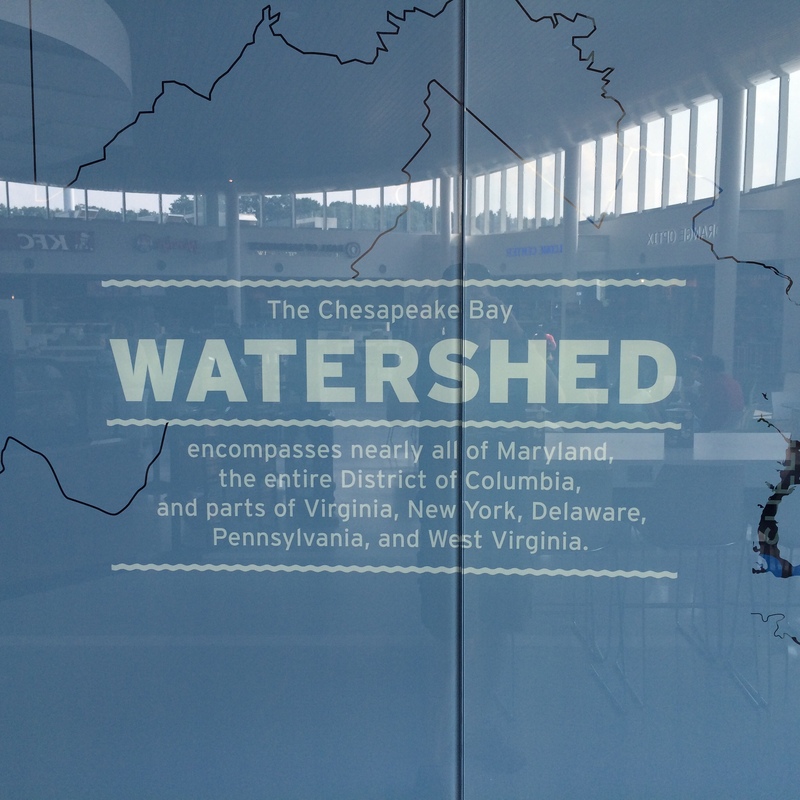 Geographic region encompassed by the watershed. 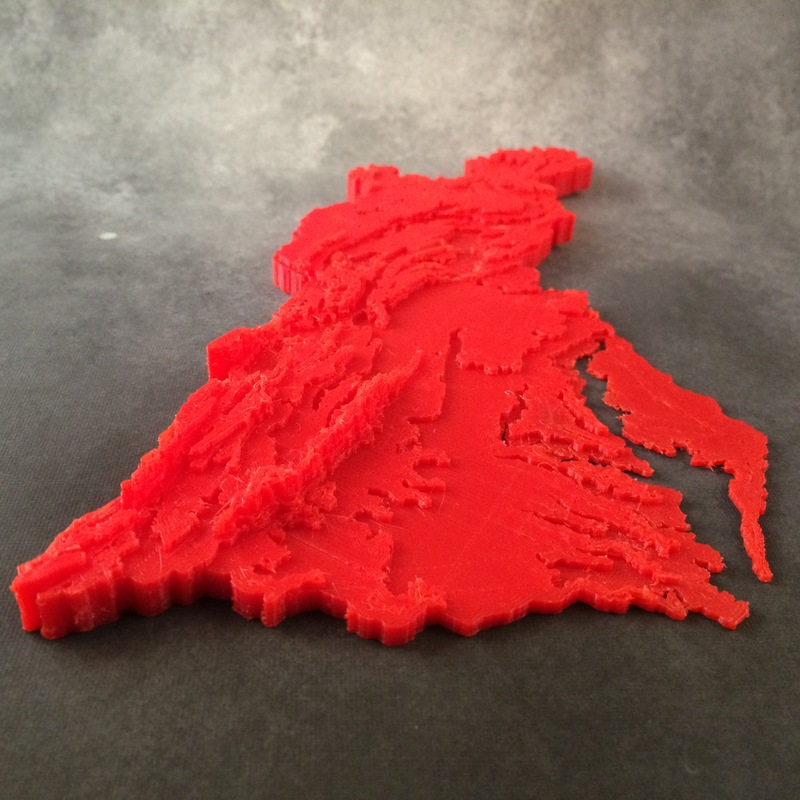 I spent several months trying to find an easy way to create an STL model of the Chesapeake Bay Watershed that I could 3D print. I went through multiple dead ends and have included links and tools I tried in case they help someone else. I asked for help from the local ArcGIS expert and while he investigated he never got back to me with a solution. I finally found a brute force solution that was pretty labor intensive. 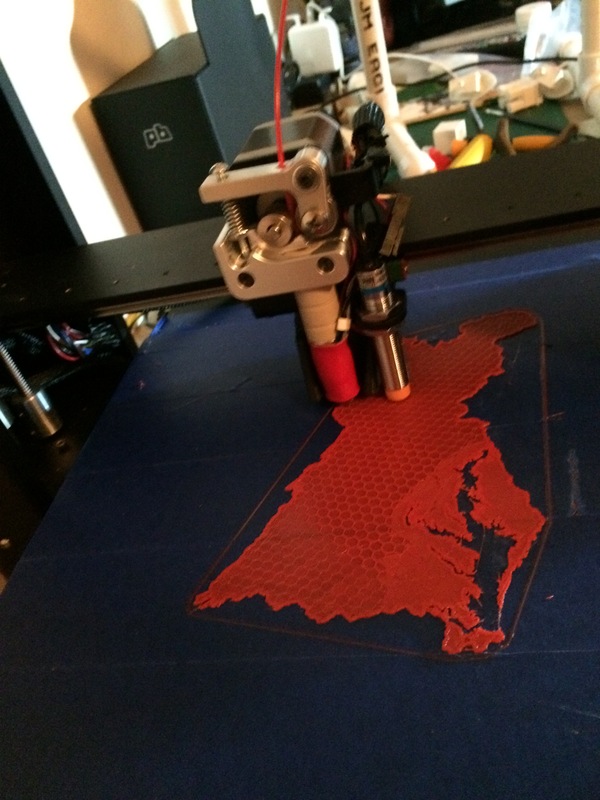 On the positive side, I was able to create version of the watershed on a 3D printer, laser cutter and paper cutter. 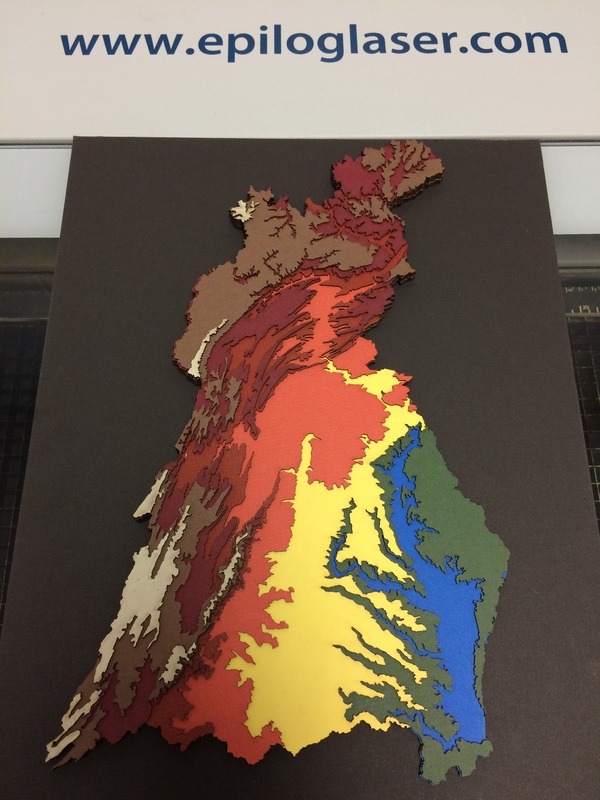 I finally settled on a 1 foot by 2 foot model laser cut out of colored mat board to create a beautiful museum quality piece. The STL can be found on Thingiverse http://www.thingiverse.com/thing:908712 and the model can be edited in Tinkercad https://www.tinkercad.com/things/aq5nCOnZCEA. -Import and combine repaired tiles into a single STL model in Meshmixer. -Repair single STL model using Netfabb Basic. -Reduce model using Meshmixer to reduce file size. -Convert STL model to SVG slices with Slic3r. -Extrude and stack individual layers using Tinkercad. -Export final STL model from Tinkercad. -Repair and resize final STL model for print in Netfabb. I’m on Twitter or Instagram @DesignMakeTeach or leave a comment. Maybe something in there could work for you. Thanks Liz, I’ll take a look.